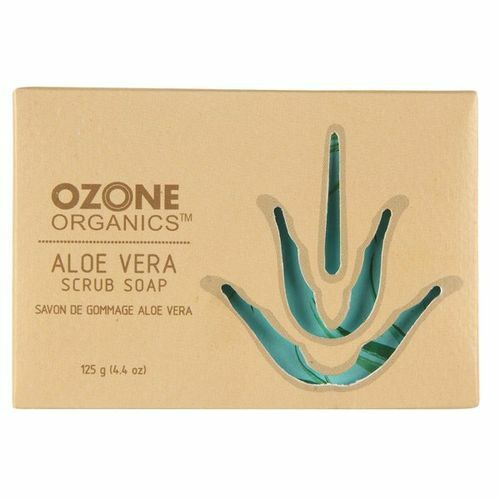 Ozone Organics Aloe vera Scrub Soap deep cleanses and moisturizes leaving the skin smooth and refreshed. It cleans the pores deep into the skin to keep your skin hydrated, soothed & soft. As you massage the soap all over your body, the exfoliating granules clear off the dead skin, and the rubbing action boosts your blood circulation imparting a youthful glow.